Over time, frequent wear of your jewellery will detract from its beauty and brilliance. Everyday wear may even eventually cause gemstones to loosen. Professional cleaning and servicing of your Bakalian piece is highly recommended. This is a complimentary service. 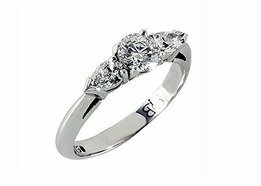 At BB Designer Jewellers, we want your jewellery to always look its best. We can clean your jewellery in-store, or give it a professional clean in our workshop. Bring it in so our staff can best advise you.